Dudheshwar Nath Mandir is dedicated to Lord Shiva. 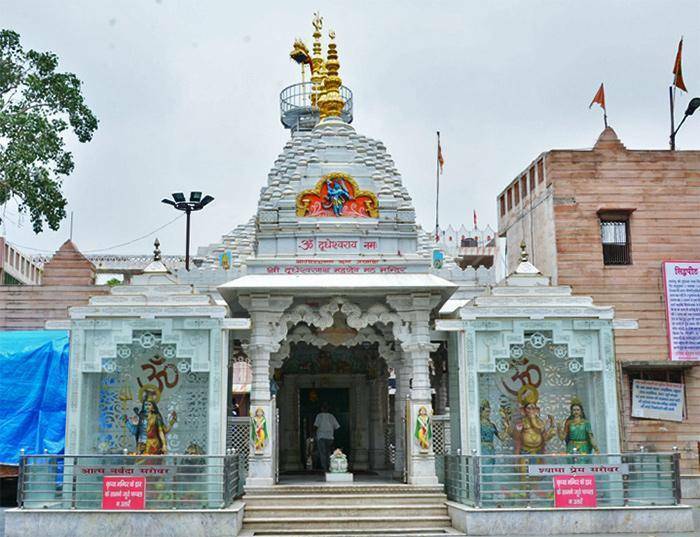 The temple is one of the must see places in Ghaziabad. Located 2 km away from Hindon, a holy river, the temple has a Shiv Ling in sanctum sanctorum. As per Hindu legends, a cow dug a hole on earth and released its milk in that hole. Later, a shrine was constructed in that spot. Thus the Shiv Ling is termed as Dudheshwar (Dudh means Milk in Hindi). The architecture and state of shirne reveals that it dates back 5000 years.